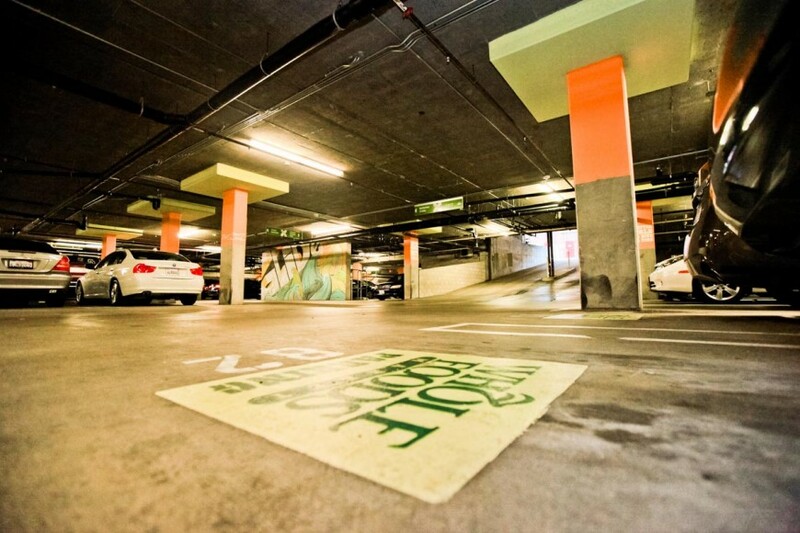 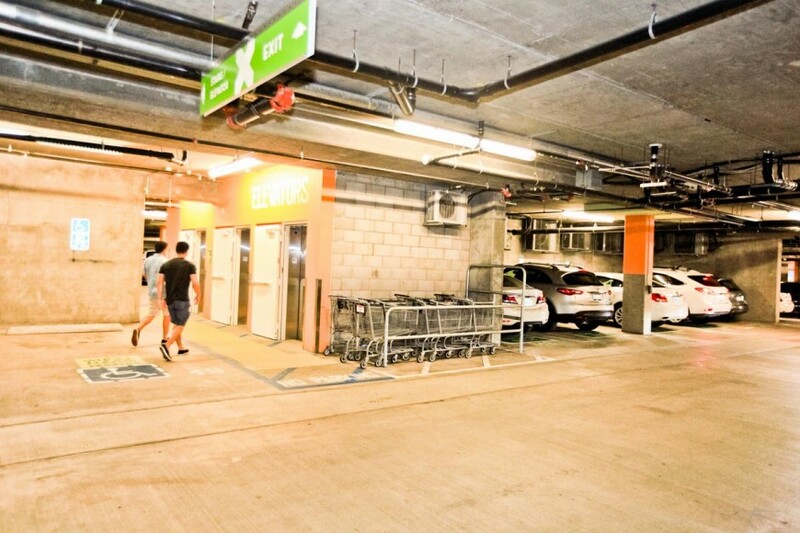 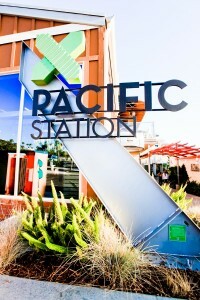 The Shops at Pacific Station is a 39,000 square foot, grocery-anchored retail center which is part of a 98,000 sq.ft. 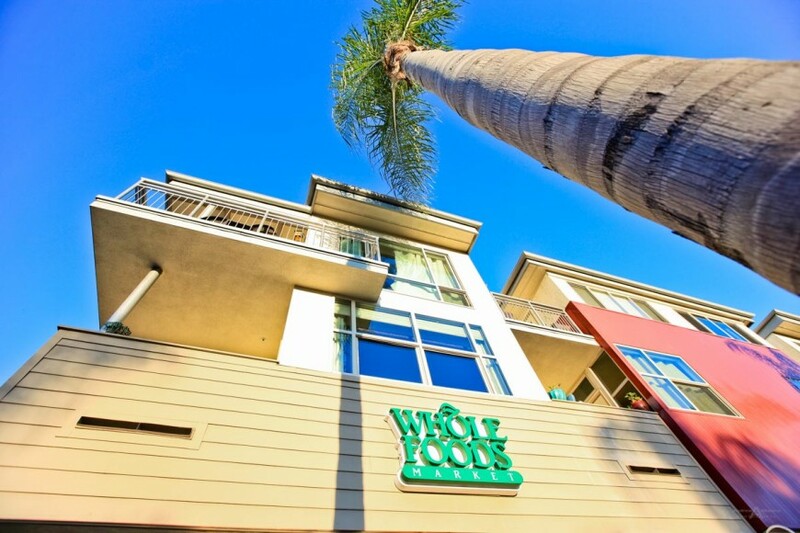 mixed-use development anchored by Whole Foods, a leading international organic grocer. 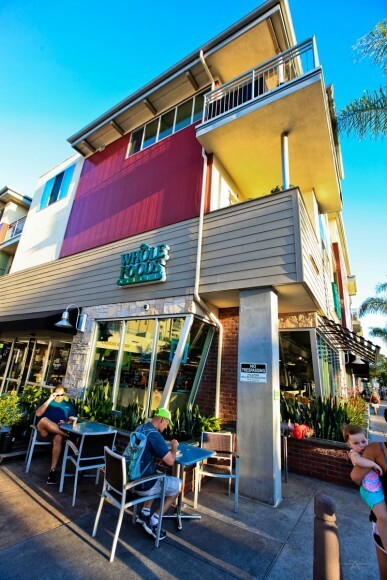 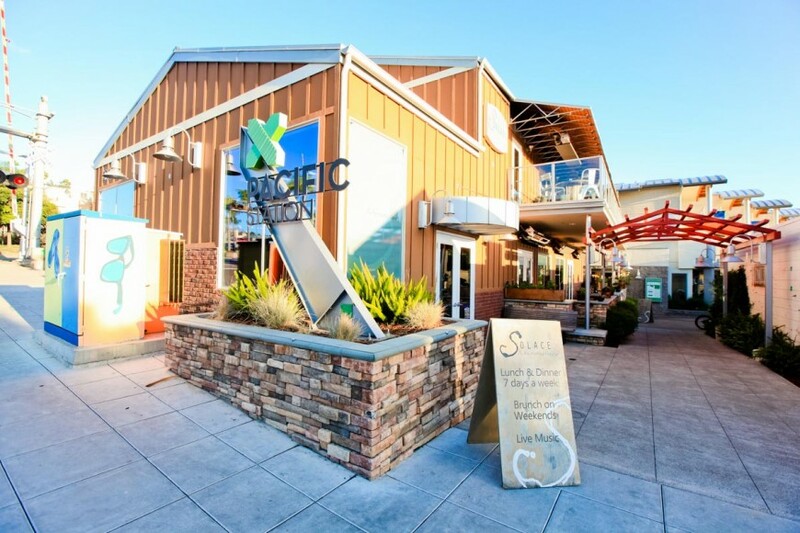 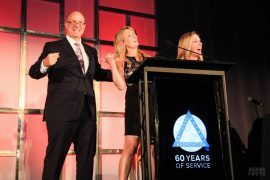 The retail center is strategically located in the City of Encinitas, California and is the premier neighborhood, grocery-anchored shopping center within the Downtown Encinitas, historic Highway 101 transportation corridor. 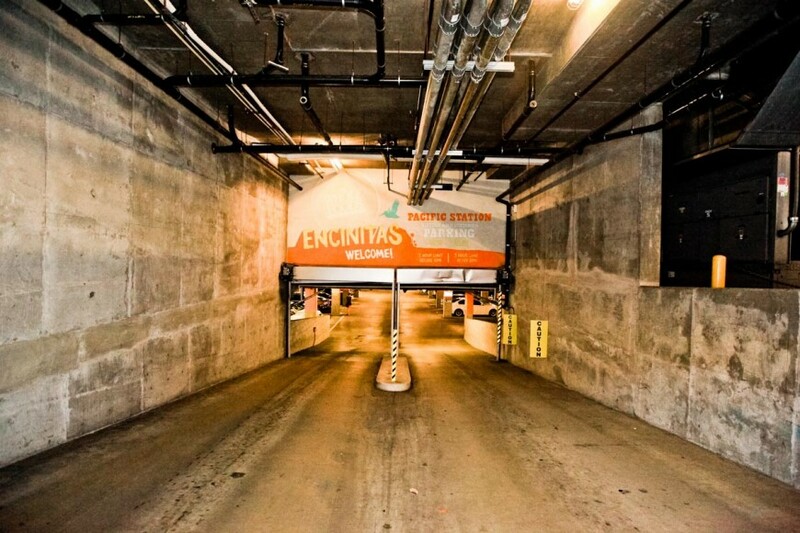 Encinitas is a coastal city located within San Diego County and just north of the City of San Diego. The photos in this article represent a sample of commercial property photography that I recently captured of Pacific Station for Colliers International, a leader in global real estate. 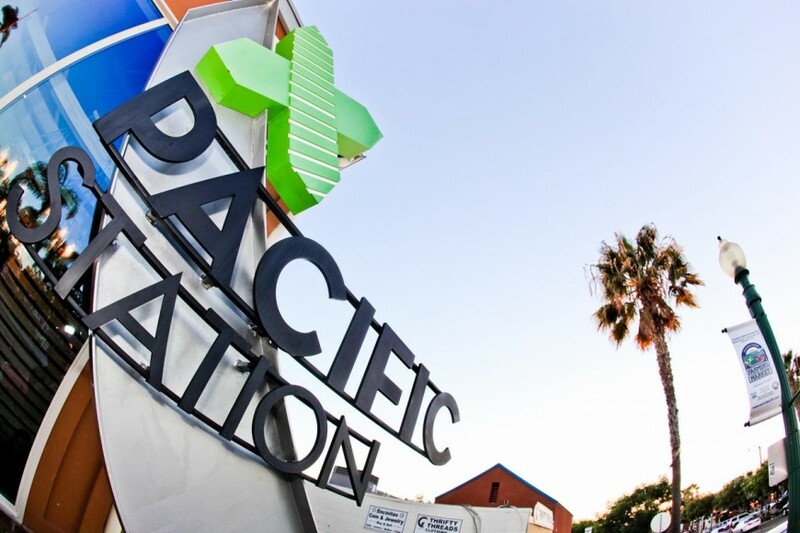 The Shops at Pacific Station is a coastal shopping district with a tremendous amount of foot traffic, as shown in the featured commercial property photography. 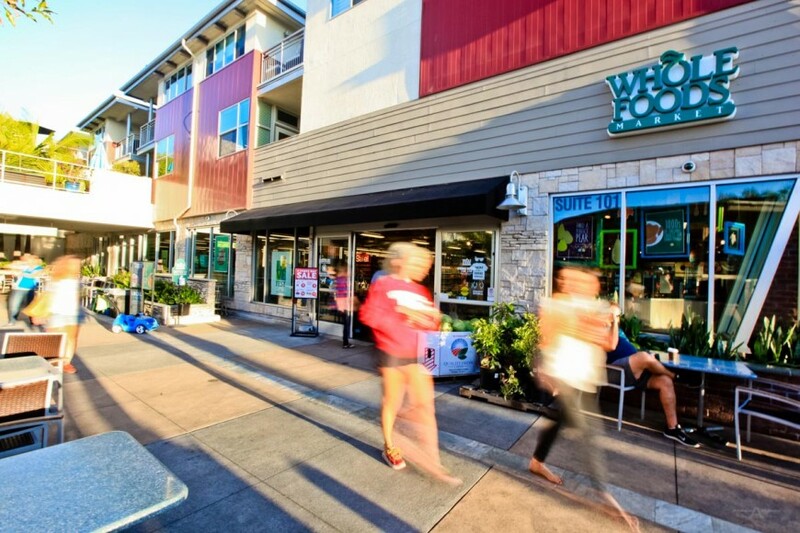 Foot traffic is consistent during the day, with Whole Foods providing a constant draw of shoppers. 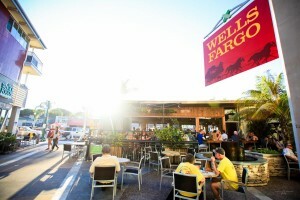 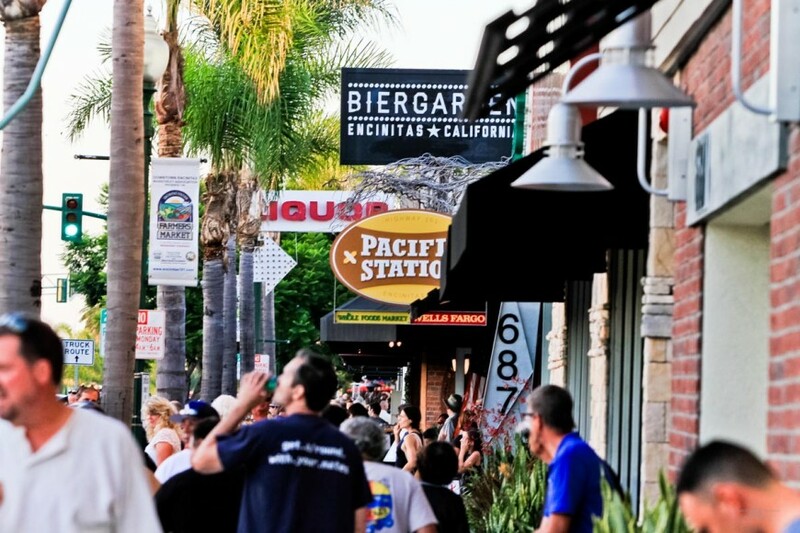 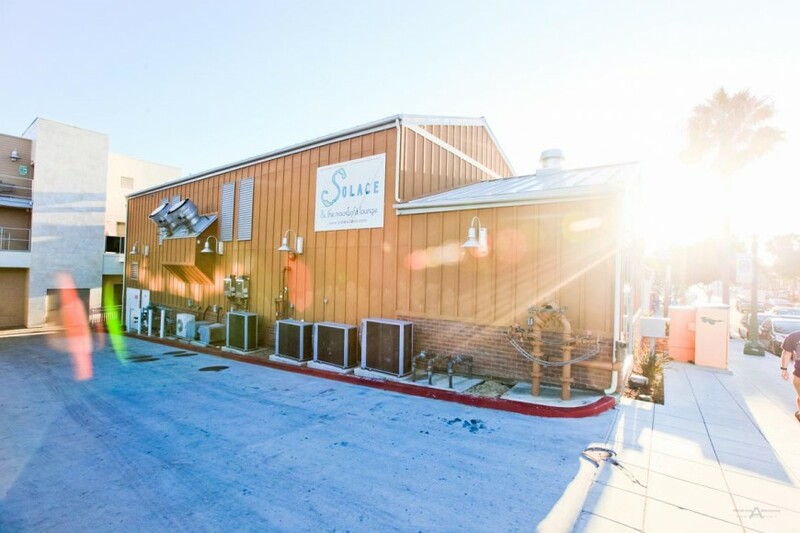 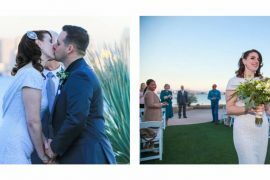 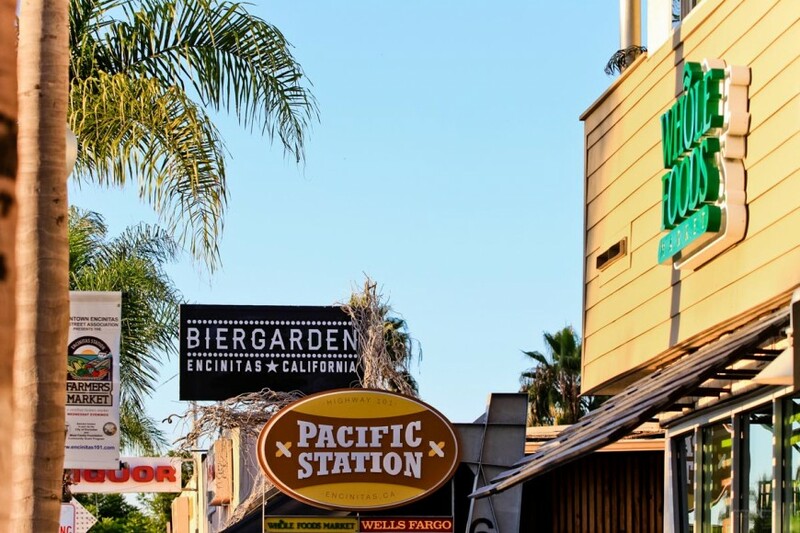 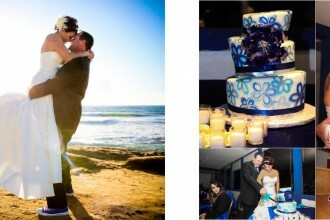 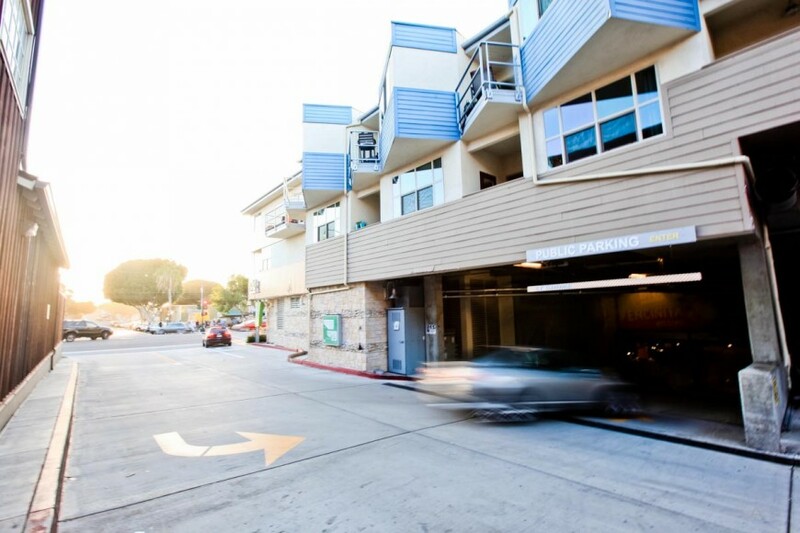 In the afternoon and particularly the evening as captured in these photos, the restaurants Biergarden and Solace provide a significant attraction to tenants of condos above The Shops at Pacific Station, and to Encinitas residents and visitors. It’s also the Downtown Highway 101 location that allows for a large amount of foot traffic along Pacific Station’s sidewalks, as evident in the photos. 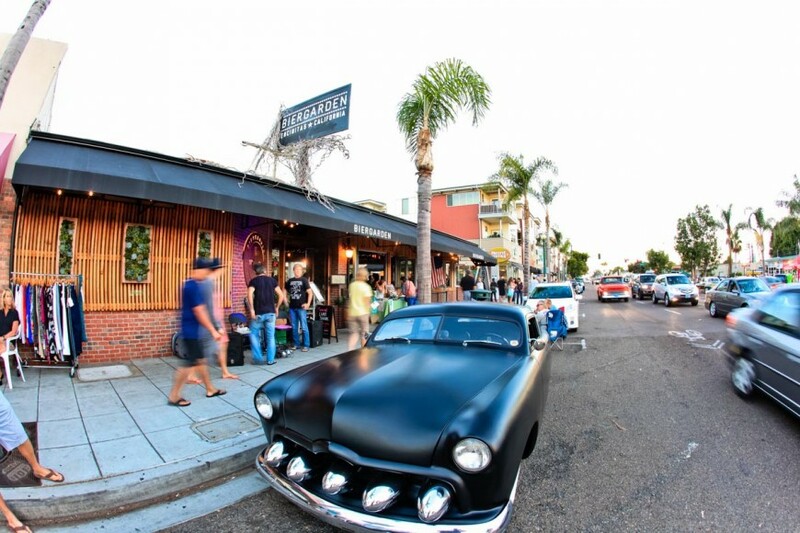 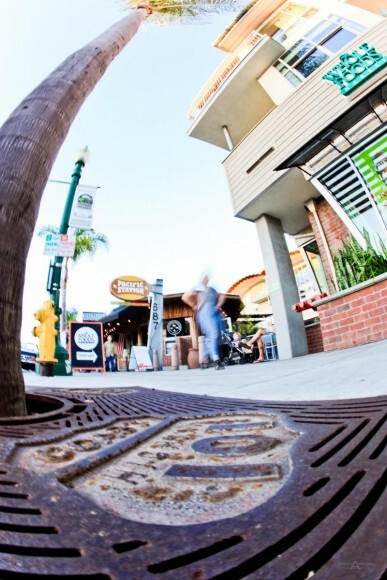 At over 100 years old, Encinitas’ Downtown 101 district features historic architecture, quaint shops, sidewalk cafes, and charming restaurants. 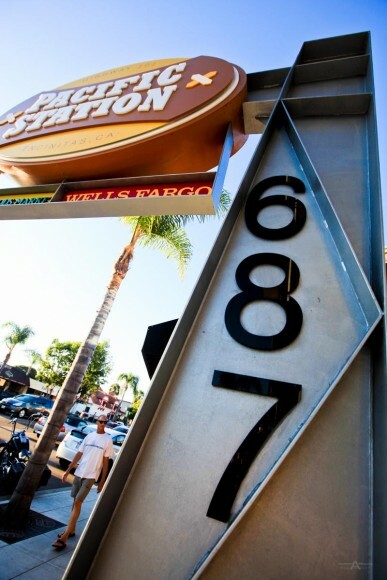 This area is amongst San Diego’s most desirable retail destinations. 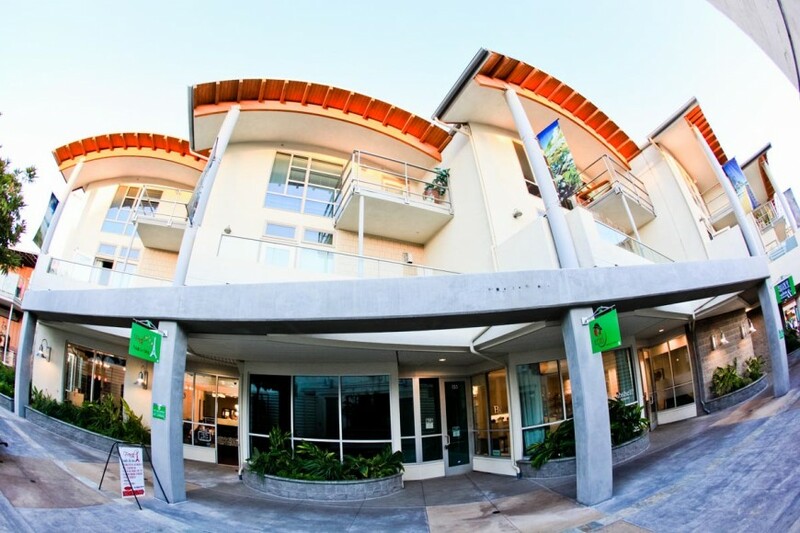 Commercial property photography, captured through my architectural photography and aerial photography, is an important component in real estate, and a commercial service which we offer to companies like Colliers International.